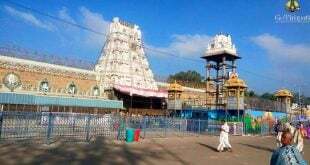 Senior citizens are allowed for in two slots one at morning hours, whoever reach Entrance near Tirumala Nambi Temple beside Main Temple during the first slot are allowed for Darshan at 10:00 am. Anything after 10:00 am slot falls under second slot which is at 3 p.m on the same day. Tirupati darshan timings for senior citizens remains the same every day unless there are festivals in Tirumala, such as Brahmotsavam, Radhasapthami. There is a limitation with respect to Darshan. Once is 3 months.month. Which means, you can avail 4 times in a year. Entry for Senior citizens is at free of Cost one should carry Original ID proof to avail benefit. Only Senior Citizens are allowed through this new entrance, no other relatives are considered for Darshan. If you have any queries, comments or suggestions with tirupati darshan timings for senior citizens , please leave your comment below, we will get back to you at the earliest. we are senior citizens,wants visit temple .we need accomodation for one night stay (4 persons). can you please guide us for obtaining room reservation. 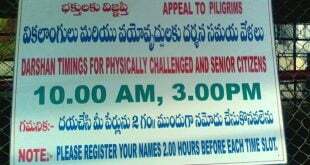 Yes you can have senior citizen darshan at 10 am and 3 pm . You can avail senior citizen darsha at 10 am and 3 pm for more details please contact 9393939150. 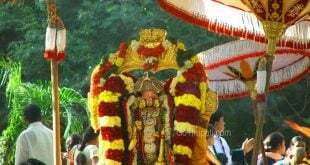 Whole our family are planning to go to thirupathi dharshan. We have booked ticket for all except two grandmothers(Senior citizens). We have booked a time slot of 5.00 PM. If we all go together, will the senior citizens be allowed for free dharshan in seperate queue at that timings? Senior citizen timings are at 10 am and 3 pm and you need to get tokens 2 hours before the slot .